The transcript of a recent government summit shows how President Kagame openly reprimands senior officials, who take it lying down. President Paul Kagame of Rwanda may divide opinion, but both his friends and foes agree on certain things – that he is tough, wants things done his way, and hates being contradicted. 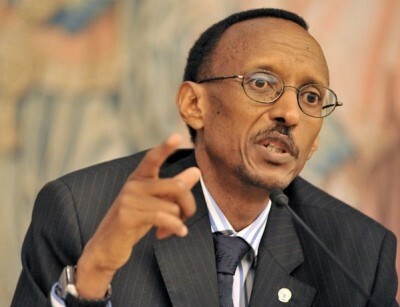 In power for almost 24 years and counting, he is often described as the “CEO of Rwanda Inc”. President Kagame’s single-mindedness is reflected in Rwandan society more broadly. There is no real political opposition to hold the ruling Rwandan Patriotic Front (RPF) accountable. Freedoms of expression, assembly and association are restricted. And the media and civil society are submissive to the state. His strong will is also apparent in how he talks to and about his perceived opponents. In 2014, for example, Kagame famously warned that dissidents “will pay the price wherever they are”. Meanwhile, at his swearing-in ceremony last year, following elections in which he officially won almost 99% of the vote, he hit back at international critics, commenting that “attacks on our character only make us stronger”. Kagame’s uncompromising approach, however, is not only reserved for adversaries. Until recently, the evidence was mostly anecdotal, but it is now clear that the president takes a similar tone in how he treats his own officials, lecturing and even humiliating them openly. From 26 February to 1 March, the government held its annual National Leadership Retreat. The transcription of Kagame’s opening speech, translated from Kinyarwanda and published by the pro-RPF website Taarifa, offers illuminating reading. “Do you see what I’m talking about or do you not?…Let someone answer me, or else you will not leave here until you respond”. “We are going to have a fight these days, get prepared for that. But before that, I will first have a fight with ministers. They are no stronger than me. I will fight them as well”. And fighting he does, tackling one minister after another. He confronts Francis Kaboneka, Minister of Local Government, on avoidable diseases, asking “You also know how many times I talk to you about it?” When Kaboneka brings up about problems of citizens’ mindsets, Kagame interjects. “Mindset for citizens or leaders? I think you are not good as well”. Kagame continues on this track as he publicly questions and reprimands official after official. He complains that “There is no follow up, no questioning, no accountability for one’s duties”. He responds to ministers’ promises to change with “you are late!”. And he abruptly interrupts his colleagues over a dozen more times in the course of the excerpt. “if those issues come back after one year or more, it is no more the problem of those people only, it is about us all”. All of this is to his credit. But it is impossible not to be alarmed at how Kagame interacts with high-ranking government representatives. It confirms the notion that even in the highest circles of power in Rwanda, the president – and the president alone – knows best. At the start of his address, Kagame says that “the purpose of this retreat is to evaluate ourselves”. This clearly applies to everyone else in the room – those who are fallible – but not himself. Kagame does not congratulate a single office-holder on any measure, but instead tells them all that they have failed in their duties. It is not just Kagame’s behaviour, however, that is remarkable. As they are berated and endlessly interrupted, no official – many of them experienced, skilled, and eternally loyal individuals – dares to defend themself, stand up to the president, or walk out. It is hard to say to what extent this is due to a loss of self-worth or mere fear. The revealing transcript of the summit shows how Kagame reigns supreme over the Rwandan state. One only wonders whether he will take a similar approach to chairing and trying to reform the African Union, a forum in which his interlocutors will be fellow heads-of-state, including some similarly assertive dictators.